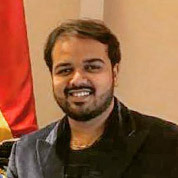 Mudit Dudhoria, a Serial Entrepreneur who Started his career at 13. Has been awarded by many institutions. Has got 3 of his own startups acquired. Has been a key player in success of various startups, political parties & affiliates networks Globally. His Company Not Only Consults, Markets or Develops Products But Works On Opening up Boundaries of Ideas For Their Clients So That They Build More. During his career, he has been an influencer in promoting entrepreneurship in Institutions Globally, Thriving for opportunities and innovating ideas has always been Mudits key forté.